Delacorte Press Books for Young Readers, 9780385742368, 297pp. Rebecca Stead, Newbery Medal-winning author of "When You Reach Me," said this book is"brimming with surprises and grand adventure. Brave, smart, and full of heart, Madeline and Ruby are a gust of fresh air." 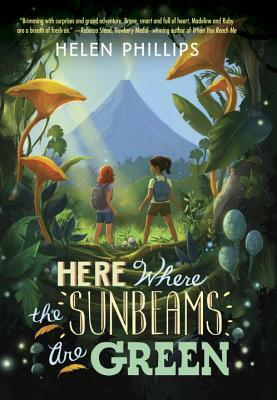 From new talent Helen Phillips, "Here Where the Sunbeams Are Green" is the story of what can happen when two sisters make some unusual friends, trust in each other, and bravely face a jungle of trouble all to bring their family back together.